Check out our detailed Udemy review, one of the biggest online courses site with thousands of courses on almost any topic. Overview, pricing and how they compare with the competition. 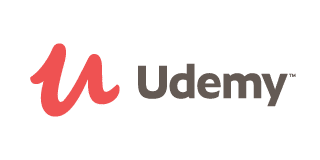 Udemy is an online learning platform that offers the opportunity to study a wide variety of topics and receive an unofficial certificate to show your competency. With over 65,000 course offerings, the possibilities are endless for self-improvement, and the super flexible structure allows you to fit learning into almost any lifestyle. The founder of Udemy, Eren Bali, grew up in Turkey with limited access to education. When his family purchased its first computer, his world opened up, and the internet allowed him to pursue his passion for math and chess, eventually winning a silver medal in the International Math Olympiad. In 2010, he teamed up with Oktay Caglar and Gagan Biyani to start Udemy, a site offering quality education at prices people can afford. To write this Udemy review, we sifted through the overwhelming selection on the site in order to see what was available. Classes are sorted into fifteen categories which you can browse to find something interesting to you. If you’re looking for something in particular, the search bar allows you to locate relevant classes even faster. Since there are so many course offerings, you may want to do a free preview in order to compare similar options before deciding which one to buy, but when you make a decision, you pay for the course and you can start learning immediately. All course purchases give you lifetime access, meaning that you can move through the material at your own pace and review it anytime you want after you’ve finished. When you have completed all the parts of the class, you will receive a certificate of completion which can be used as proof of your new skill. If you are looking to learn something new, hone jobs skills, or explore a hobby, our Udemy review thinks it is a fantastic option. Its classes are moderately priced, impose no time limits or deadlines, and cover virtually any topic you might want to know about. Many of the classes on the site are extremely good, and it is possible to weed out the duds by paying attention to the ratings and reviews. The only real downside to this choice is the lack of accreditation, meaning that any learning you do won’t count towards official credentialing or degree work. If that isn’t a problem for you, this is a great site! I started using Udemy few months ago. I found it much more useful than edx for many reasons: 1- the courses are much cheaper. 2- you have a life access to the courses. 3- you can start your course at any time you like. 4- the instructors are very responsive and continually upgrade their courses. The only disadvantage I found in Udemy is the variety of the courses. What I mean is in some studying field you can find only few courses about a certain topic.However,I think it is going to improve. I’ve been wanting to learn some basic PHP for a long time since it would help me in my job. I decided to take a course on udemy and it was really great. For $20 I learned the basics and it even got me going into learning more on my own. The course was well organized, very happy with the overall experience.